An East Leeds boy, I was born in sunny Seacroft in 1969. 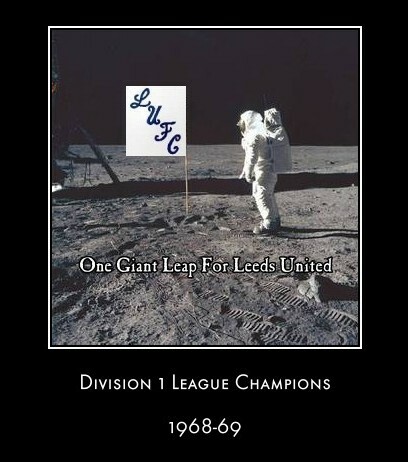 Many people mistakenly associate this year with man landing on the moon, but this momentous event pails into insignificance compared to Leeds United winning their first top flight league title. Now although I can legitimately claim to have been around at the time, I remain truly envious of every older Leeds fan who can consciously recall the emotions of seeing our team secure their first ever league championship. My personal emotional baptism occurred in 1975, when as anybody with even the slightest notion of justice is aware, the wrong team were crowned champions of Europe. Couple of reasons actually. Firstly a case of unfinished business. I started writing a Leeds United blog a couple of years ago but found it difficult to find the time to keep making posts on a regular basis. With this in mind, the thinking behind the website is that I will be able to add content on a "as and when I can" basis, as well as building on the material featured on the blog. 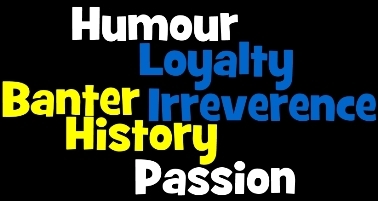 Secondly, discovering that we are the most hated club in the country made me realise why I love being a Leeds fan so much, and that made the decision to put together a website expressing that affection so much easier. In case you missed it, a survey was commissioned to canvass opinion from fans of every English league club. One of the questions asked was which rival team fans hated the most and guess what, we came first. The Sun newspaper ran with the headline "We all loathe Leeds United!" and claimed that the survey's findings had left Leeds fans in shock (hardly a JFK moment, do you remember were you were when the news broke that we topped the most hated league? ); but to be fair to the Sun this story did get me thinking (thought provoking Sun article! now there's an oxymoron if ever there was one). 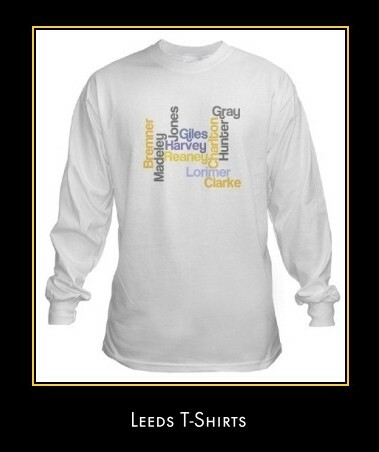 "Dirty, Revie, Clough, Paris, Service Crew, Bowyer, Woodgate, Bates, Wise, Risdale, Bremner, Hunter, Sprake, Giles" etc etc." Anything other that "Eric" anybody? Well bugger me, it seems everybody loves leeds now! Think the following might have something to do with it! Times journalist Rick Broadbent wrote that "One of the good things about Leeds fans is they do not ring up football phone-ins like 606 to air pointless views about whether their side is good/bad/not bad." Your quite right Rick, as the following audio clip proves. Supporting the greatest football team in the world has just got even more fashionable. See following link for full details. 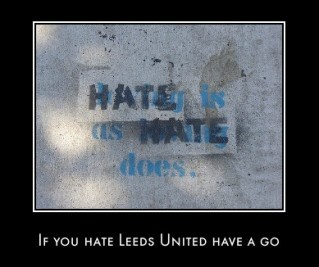 If you like the We All Love Leeds website please let your facebook friends know by clicking on the button below.